Are you generating leads with social media for your business? What have you found works best and how has that evolved over time? Before social media networks became the new mass media, the most effective approaches for generating leads were based on organic relationship building. >> See Facebook and Twitter for Marketing: It's About Relationships! Not that relationship building is irrelevant - far from it - however, access to audiences switched to 'Pay to Play' once networks were able to guarantee audiences and then monetize traffic. >> See How Do You Use Facebook Ads to Connect With Customers? Complexity has increased considerably as people have shifted more to mobile devices for information, interaction and communication. There, two companies control the majority of the real estate (i.e., Facebook and Google), not to mention that overall content options have exploded while time and attention remain the same. To deal with the content explosion and human limitations, search and social have developed complex algorithms to control what appears in social news streams and search results. As a business, how can you successfully generate leads based on networks where people congregate digitally when algorithms call the shots there and on search? Have you developed a story for your business that comes across consistently across platforms and networks? Think how Disney operates - from movies, theme parks, TV programming, clothing, stores, stuffed animals, etc. - and how consistent the message comes across regardless of how you experience each one. "Your challenge, my challenge is to communicate in constellations. We must deeply connect our paid, owned and earned programming into self-evident narratives. This way, our audiences won’t just see a star or two but the entire story. We have to link seemingly disparate stars in a digital sky of thousands by connecting the dots for them into a memorable tale." Ultimately, you need to truly understand your audience. Yes, that means developing personas for your business (see Developing Personas for Content Marketing, How To Develop a Buyer Persona for Content Marketing and The Case for Personas in Business: Connecting With Customers) so you can craft the right story and ensure it resonates regardless of how your audience receives it. Know who you are trying to reach. Understand where they hang out online and which social networks they prefer. What do they like to see and do there? Find out where they go for information and how they go about making decisions. Are they tied to their mobile devices or do they prefer their desktop? Do they trust their social networks for certain recommendations or do they prefer search results? Understand which digital platforms they use for business decisions so can communicate with them effectively. If you understand your audience, you can ensure you have the right content to appeal to them. If the various social networks represent satellites for connecting with prospective customers, how can you drive them back to your site and your content to further develop the relationship? Remember that each network has its own vibe. LinkedIn is business-focused. Pinterest is relevant to consumers. Facebook is like a neighborhood picnic. How can you participate as well as promote content in a way that makes sense for that platform, while reinforcing that consistent storyline? As you evaluate how to use social media to generate leads, don't forget to consider paid social (and paid search) to discover like-minded prospects whom you otherwise would never encounter. Not only will you increase your visibility (i.e., as in the good old organic days of social), but you can specifically identify audiences based on location, demographics, interests, similarity to existing audiences and more. That means that you can test assumptions to determine which are best for your business, and then go with the ones with the best results. As much as social has evolved, it offers amazing opportunities for lead generation. In 2011, during the MarketingProfs B2B Forum, I joined now-Hubspot CMO Kipp Bodnar to present “Generating Lower Cost Leads With Social Media”. It was hugely relevant then given how traditional outbound marketing had become less effective and more expensive. Based on what I shared with you above, it remains intensely relevant since marketers still question whether social media makes sense for lead generation. Here are highlights from that session. As Kipp and I prepared for this presentation, we discussed how lead generation is often considered a necessary evil [who likes cold calls?] while social media as time-intensive soft marketing tool. The two, though, can productively co-exist and collaborate as Study: Marketers Reporting Social Media ROI of 100, 200, Even 1,000 Percent and Startup Company Eliminates the Cold Call With Twitter highlight! Kipp, who regularly presents on social media and lead generation [see How to: Use B2B Social Media for Lead Generation, 7 Steps to Building a B2B Social Media Lead Generation Pipeline and from the MarketingProfs B2B Forum 2010: Generating & Tracking Leads with Social Media], focused on a 5 step social media lead generation framework. How Do You Generate Leads With Social Media? This topic matters to business. After all, generating leads with social media or through other channels is vital to the success of your business. 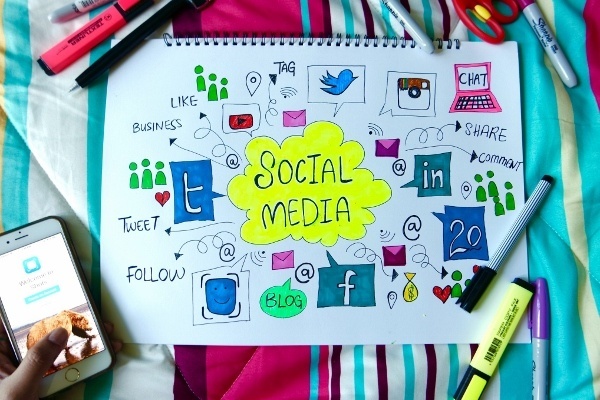 How are you using social networks to generate leads? Have you tried paid social? What success did you experience? Note: This article was originally published on 6/28/11 and has been updated.